Come experience a Bentley Pontoon Boat in Destin today! With a Destin Pontoon Boat Rental from S.E.A. Chase Watersports, it's easy to be a captain! We provide all the boat instruction, safety gear, maps and even the fuel is included with your boat rental. 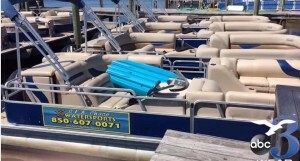 Pontoon boat rentals in Destin are a great way for the entire family to spend the day. Destin is famed for its sugar-white sands and emerald-hued waters. S.E.A. Chase strives on keeping our pontoon boats in like new condition. We want your pontoon boat rental experience to be one that you will never forget! Just Arrived - New 2019 Bentley Boats! All pontoon boat rentals include a free kayak or paddle board! 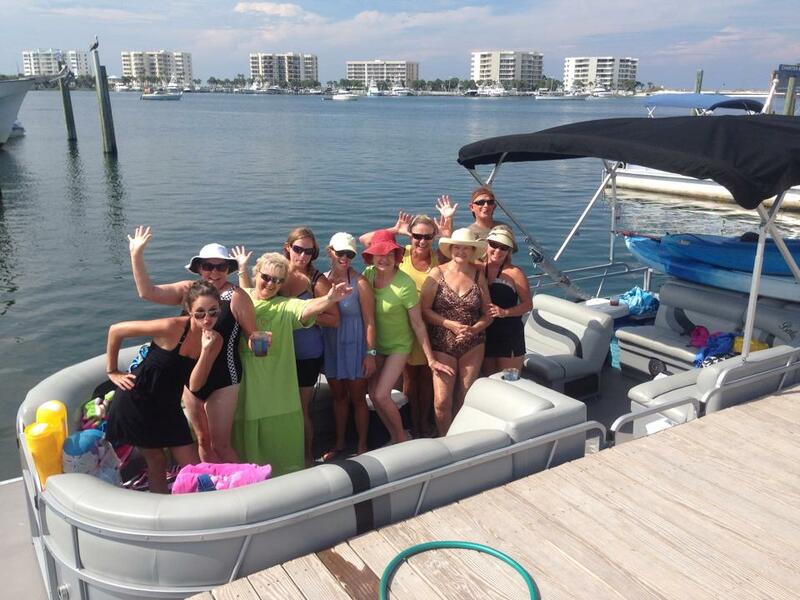 Experience the fun of Crab Island on a Destin pontoon boat rental! Paddle boarding and kayaking around the sand bar is surreal! Summer 2019 is here! Call the best Pontoon Boat Rental Company in all of Destin! Most our customers are return customers, come see why! Welcome To Sea Chase Watersports. Home of the highest quality pontoon boats, kayaks and paddle boards. We want your experience to be one you will never forget so we work hard to make sure you are fully prepared and geared up for a stress free day of fun. Drive right up to the dock and one of our mates will help you unload your boating necessities. Check out the Destin Pontoon Boat Rental F.A.Q. page for a list of common necessities.